WASHINGTON – U.S. Senator Pat Roberts (R-Kan.) today praised the U.S. Department of Transportation’s (DOT) selection of new Essential Air Service (EAS) providers for Dodge City and Liberal. 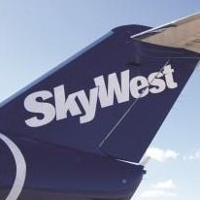 The DOT selected Boutique Air to provide air service to Dodge City and SkyWest Airlines, branded as United Express, to serve Liberal, KS/Guymon, OK. In August, PenAir terminated service at these communities. Boutique will operate 18 weekly nonstop flights to Denver International Airport, and SkyWest will operate 12 weekly flights to Denver. The selected carriers will provide service from January 1, 2018, through January 31, 2020.